Kee Systems has installed a total of 2,570 Kee Covers on the roofs at Porcelanosa’s retail sites across the country to protect the fragile skylights on the roofs and ensure that maintenance work can be carried out in complete safety. Founded in Spain in 1973 as a specialist in ceramic tiles and flooring, Porcelanosa is synonymous with innovative design and unbeatable quality, and has a presence in over 150 countries worldwide. As part of its commitment to safety, the company is undergoing a programme to ensure anyone requiring access to its roofs for maintenance purposes, can do so in complete safety. After researching skylight safety, Héctor Pérez Ferrandis, Maintenance Manager at Porcelanosa contacted Kee Systems about Kee Cover skylight protection for their UK stores. 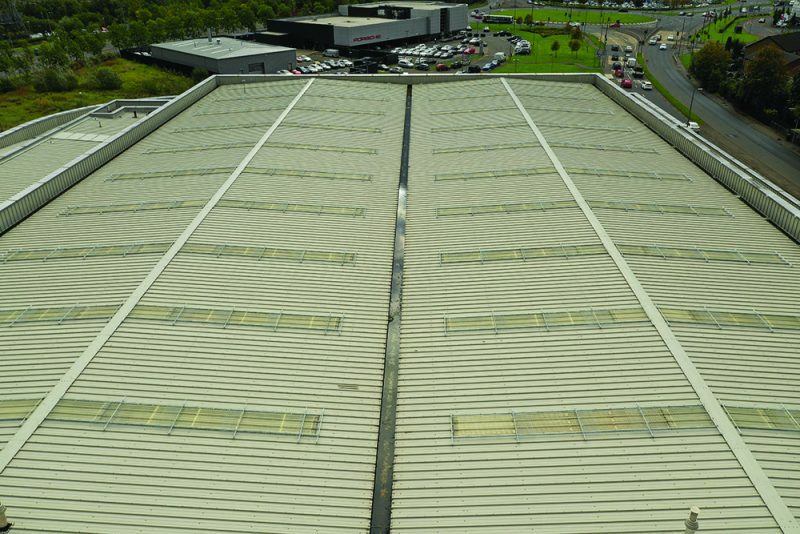 Following a site survey, Kee Systems installed Kee Covers on the roofs of Porcelanosa’s retail sites in Watford, Glasgow, Marston Green in the West Midlands, Bristol, Warrington and Doncaster over a 9-month period. The Kee Covers sit onto metal frames constructed from Kee Klamp fittings which were then fixed virtually flat to the roof’s surfaces. The system is ideal for trapezoidal and standing seam roofs. All components and mesh panels are hot dip galvanised for enhanced durability. The tube can be also colour coated if greater visibility is required. With installation complete on the stores, Porcelanosa has ensured that all fall risks on its UK roofs are protected, and that maintenance work can be carried out in complete safety.